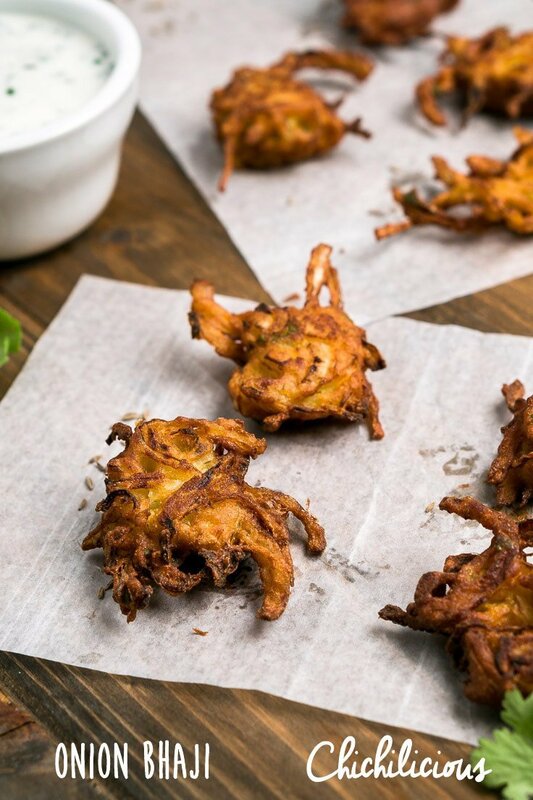 Bhaji meaning an Indian spicy fried snack. Similar to a fritter, often spiced with cumin, tumeric, and coriander mixed with chickpea flour, instead of white flour making it gluten free. If you have trouble finding the chickpea flour try looking for gram flour, or garbanzo bean flour. 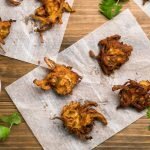 These fried onion bhajis are like onion rings and fritter combined, I made these when I was having an intense craving for onion rings. In a small bowl put plain yogurt, lime juice, sliced green onions, and salt mix well. Set aside in the fridge. 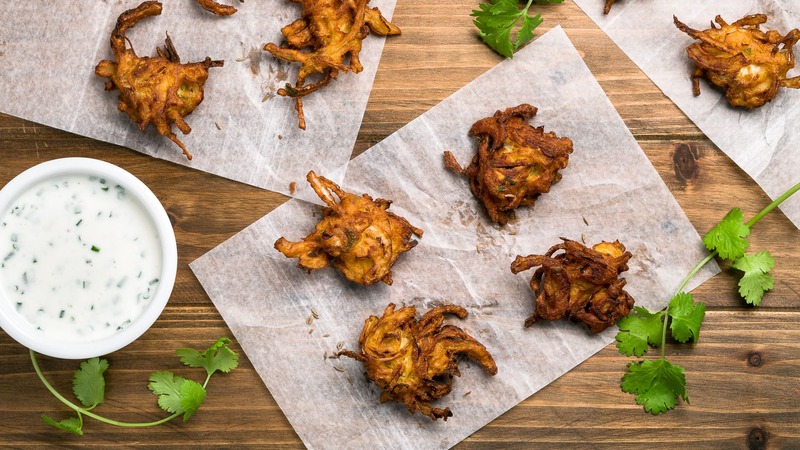 In a medium bowl, mix the chickpea flour, toasted cumin seeds, tumeric, baking powder, salt, and chopped coriander. Add in the thinly sliced onions, mix well. Now add the water, add 1 tablespoon at a time, mixing until there are no flour left. You want the batter to be thick enough so the the onions are sticking together but not runny. Heat oil in a large pan with high sides on medium. Once heated, drop about half a tablespoon of onions into the oil, fry until both sides are golden brown. Rest on a plate lined with paper towels. Serve warm with yogurt sauce. Visit Chichilious's recipe board on Pinterest.